The School of Medicine focuses on outreach, scholarship, and education that can be a valuable resource for developing diversity and cultural competency in academic medicine. Not only does this focus address issues such as eradicating health care disparities, providing services to the community, and re-shaping the legacy of the University in regard to diverse communities, it also helps build diversity into the next generation of health professionals. Education and awareness programs in elementary schools, middle schools, and high schools, are powerful influences on career aspirations. The School of Medicine also focuses on access to medical education to ensure that diverse talent is being developed throughout the educational continuum and highlighted in the screening process. This dimension utilizes the partnerships and programs associated with community outreach initiatives to help shape the education and career aspirations of K-12 students as well as under graduates. This dimension also focuses on developing innovative process in support of the recruiting, screening, and selection of diverse students to include examination of the “whole-person” and enhancing the application experience for all students during the medical school and GME admissions process. 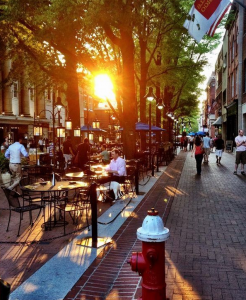 The City of Charlottesville, locally known as “C’ville”, is consistently ranked one of the best places to live in the United States and is home to a diverse population. In 1998, it became the smallest city in the U.S. to have an International Refugee Committee Site and have embraced refugees from more than 25 countries including Bosnia, Togo, Uzbekistan, Bhutan and Myanmar (formerly Burma). A large migrant population from South and Central American also contribute to an international community within the city. 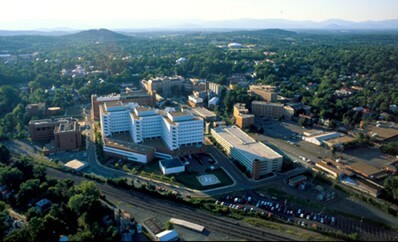 C’ville is a green city and is recognized for its Leadership in Energy and Environmental Design (LEED) ratings. Bike paths, trails and parks are plentiful. The area has an abundance of eateries, markets and restaurants. Charlottesville is also a city of festivals and music. A variety of venues for music and art are located on and around our pedestrian walkway, The Downtown Mall.